WorldMovieStore - The Sunset Limited Sinopsis. Cormac McCarthy, author of No Country for Old Men and All the Pretty Horses, wrote this play (first produced in 2006) for a pair of unnamed characters who are identified in the credits as White and Black. We are in the rundown apartment home of Black (Samuel L. Jackson), who has just stopped White (Tommy Lee Jones) from committing suicide at the train station. --Robert Horton. Read More Sinopsis. 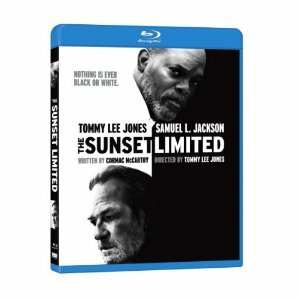 0 Response to "Blu-ray Release The Sunset Limited"